Osmani Trust Health Trainers with their participants from their weekly mental health & wellbeing social club organised a coffee morning to raise money for Macmillan cancer support. Everyone enjoyed a slice of cake and collectively managed to raise an impressive amount for Macmillan Cancer Support. 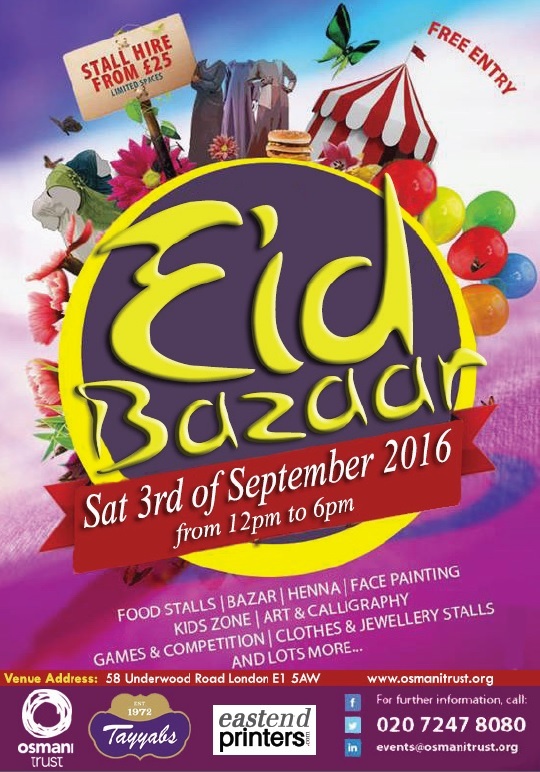 Make sure you pop in to our 2nd Eid Bazaar this year- 3rd of September 2016! 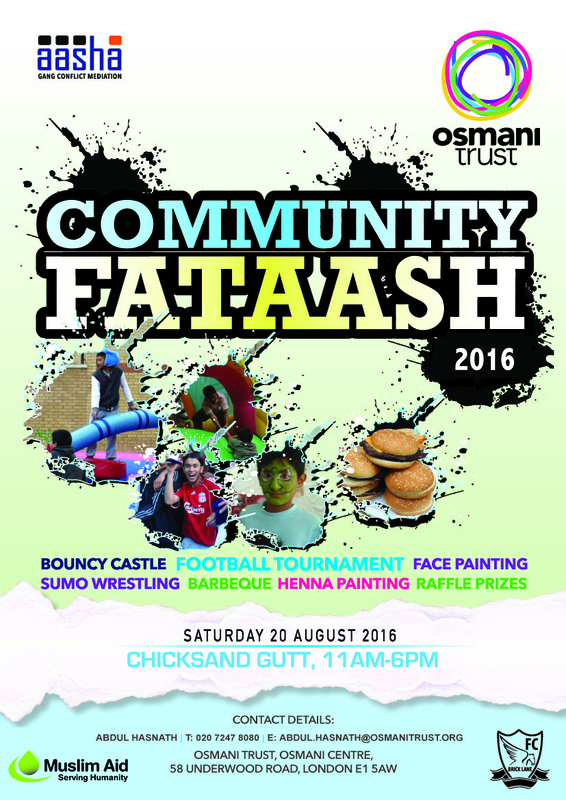 Free entry with lots of stall’s present along with kids entertainment. For stall hire request please give us a call on 0207 247 8080.